The second trailer of Yash's KGF has been unveiled in Mumbai. It is an action-packed video. The second trailer of Rocking Star Yash's KGF has been released on Wednesday, 5 December, in Mumbai. A power-packed video with full of action sequences and punch dialogues have hit the internet with a bang. The clip begins with a mother asking his son to take oath that when he dies he would be a rich and powerful person in the world. The next few seconds gives an insight into the film's content as it says that the the 70s conflict between the USA and Russia nearly lead to the third world war and how it affected the KGF region. The trailer gives glimpses about the mines, slaves and the hero's journey into the world of greed. The clip is peppered with sharp dialogues. One such example is: "Gang leke aane wale hothe hey gangster, aa akela athatha, monster. (One who comes with a gang is a gangster, but he used to come alone, the monster). "Kehete he na har picture mein koi ek hota hain, tuje dekh har muje aaisahi laga. (They say in every movie there will be one and looking at you I felt I get the feeling that you are the one," a boy utters, looking at Rocky. "Kaun hero?" questions another for which the boy reacts, "Nahi, villain, (no, he is the villain)." 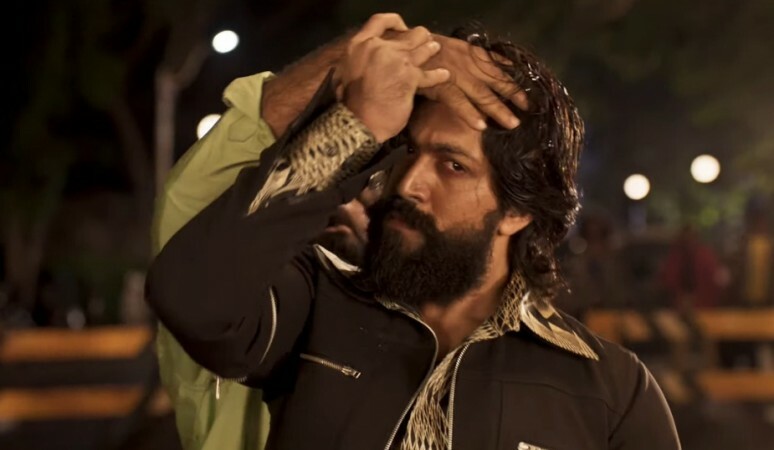 The action sequences have been well-choreographed and the scene in which Yash moves the villain's hand like a comb to set his hairs properly is easily one of the best scenes in the trailer. In total the curiosity around KGF is increased manifold after the release of KGF second trailer. Prashanth Neel's KGF is made in two-part instalments in which Srinidhi Shetty plays the female lead. Ananth Nag, Achyuth Kumar, Malavika Avinash, Vaishta Simha and others have done supporting roles.